The CoffeeShop Blog: CoffeeShop "Honey Retro 2" Photoshop/PSE Action! CoffeeShop "Honey Retro 2" Photoshop/PSE Action! Today I have a brand new beautiful Photoshop/PSE action to share with you called "Honey Retro 2". I was never completely satisfied with the original "Honey Retro" action so I completely rewrote it and this new version is so much better! 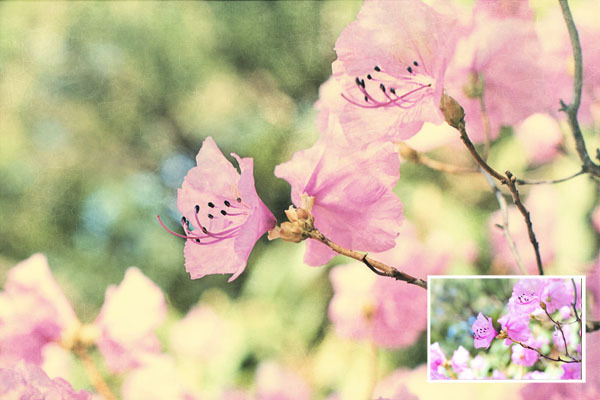 "Honey Retro 2" is completely adjustable and on the right images can look stunning. 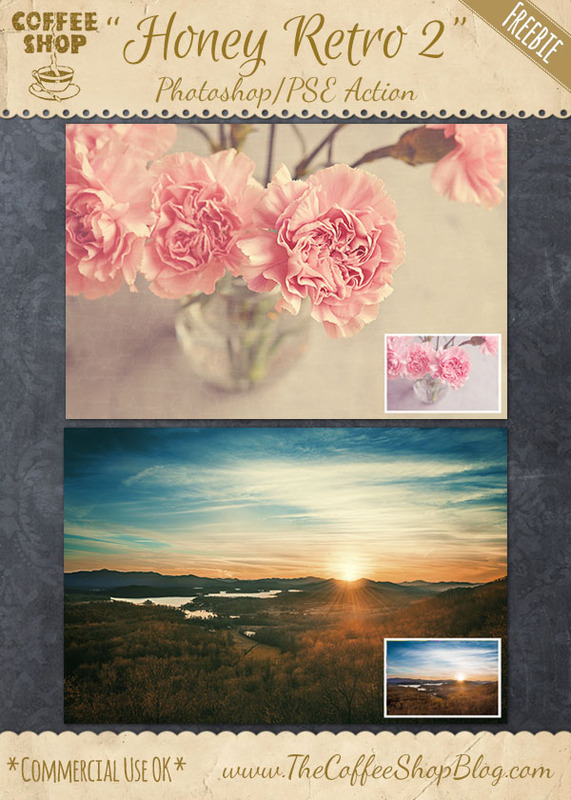 I wanted to thank Carmann for the gorgeous sunset image I used above, Pexibear for the beautiful floral image in my ad, and Jill Wellington (Etsy Shop, Facebook, Blog, YouTube Videos, Pixabay) for the lovely floral image I used below in my action tutorial. I ran "Honey Retro 2" on a photo I took from my front porch. I think this looks almost like a painting. I found this lovely image from Jill Wellington on Pixabay. I ran "Honey Retro 2" on the image. All of the layers are adjustable. I usually keep "Light Burn" on, but on this image I turned it off. 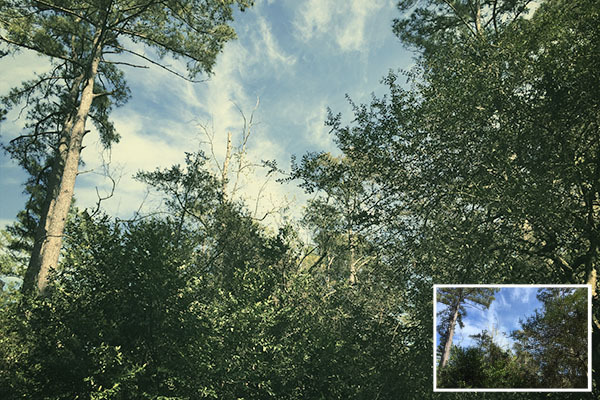 On the yellow color-fill adjustment layer, try changing the blending mode from Normal to Soft Light, Overlay, or Multiply and adjust the opacity to taste. I usually keep it in Normal. I also decided to add one of my favorite textures to this image called "Cracked Texture". I put it in Soft Light and dragged it under the yellow color-fill adjustment layer. I love this final version! The colors are so pretty and the texture really adds so much. Download the CoffeeShop "Honey Retro 2" Photoshop/PSE Action. You can also download it here. Very pretty. Thanks, and as always thanks for the links to the pics as well. You are so welcome Meredith!